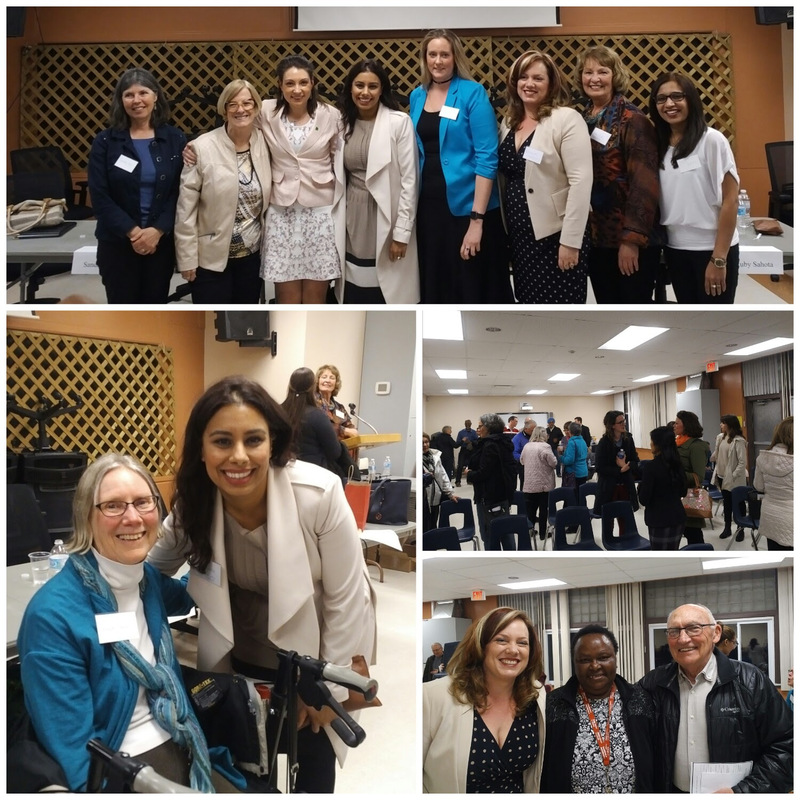 Thank you to all the attendees, panelists and organizers for making our discussion forum and social on Advancing Gender Equality a truly memorable evening. The panel discussion and Q&A was moderated by Lin Fines, who is a Past President of CFUW in Brantford and who has had a long career in Human Resources. The panelists shared informative, inspiring and moving stories based on their personal experiences. They offered advice and guidance to women and men to help ensure the advancement of gender equality. They answered a wide range of questions from the audience. Lin did an amazing job as a moderator and sharing her own stories and knowledge about challenges women have faced, and continue to face, in politics and the workforce. More great discussions were had at the social that followed. We are very grateful to the diverse crowd of over 75 people who came out despite the heavy rain downpour last night and who helped make for an engaging discussion. I also want to specially thank our Commission Club members and supporters who helped organize this great event. The volunteers we had were incredible and very dedicated to the cause. Countless hours went into making this event a success and volunteers make all the difference! We are extremely pleased and honoured with the positive feedback we’ve received for this event. Ruby indicated to me that this was best community panel discussion forum she has been a part of and many others shared the same. We will keep aiming to make our community engagement better and better. Your feedback is always welcome with respect to what events you would like to see us organizing and what activities you would be interested in volunteering for.